Members of the Enterprise Parks and Recreation Department made a stop at Pinedale on Oct. 16 to introduce students to pickleball, a unique sport that combines elements of tennis, badminton and table tennis. 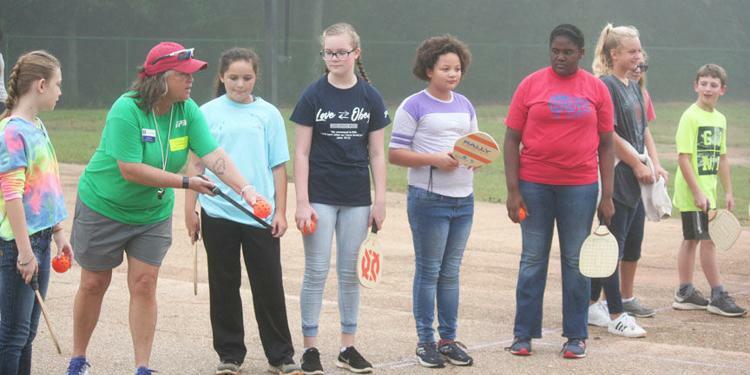 According to Enterprise Parks and Recreation Programs Coordinator Guillian Hunt, the department began offering pickleball as an activity last year and it has gained popularity since. She said this is part of an initiative to introduce the sport to students at local schools as an alternative to typical sports such as basketball, football and baseball.